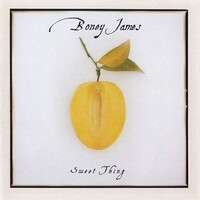 From 1997, ‘Sweet Thing’ is the album prior to Boney James’ greatest album ‘Body Language’ (1999). Boney James was at the top of his game in this period. The tone of his playing – on tenor, soprano or alto – oozes Soul. Tracks like ‘Nothing But Love’ are archetypal Boney James, the mood of his sax is so soft, warm and inviting. ‘Sweet Thing’ is a Smooth Jazz version of the Rufus And Chaka Khan song and lives up to its title without being saccharine. James’ soprano sax glides with the grace of a butterfly. There is one song that stands out above all others and (in this writer’s opinion) – ‘After The Rain’ is one of Smooth Jazz’s greatest melodies bar none! As usual Boney chooses his vocalists carefully. On ‘I Still Dream’, the legend that is Al Jarreau excels with a vocal that captures the ephemeral nature of the theme. A youthful Eric Benet is featured on the remix version of ‘It’s All Good’ as Boney James weaves in and out of the vocal. ‘Sweet Thing’ is one of Boney James’ strongest albums and is highly recommended.